It is no coincidence that various calendars of the major religious traditions of the world are on parallel tracks, each reaching a similar number of years since their inception. For example the Mayan Long Count Calendar terminates after 5125 years. The exact end date may have been on December 21, 2012 or it might be in 2016 or even 2023. Only by knowing the exact start date can the final date be accurately identified. Likewise, the Hindu religion observes the death of Lord Krishna as the beginning date of the Kali Yuga dating back to 3110 or 3113 B.C.E. 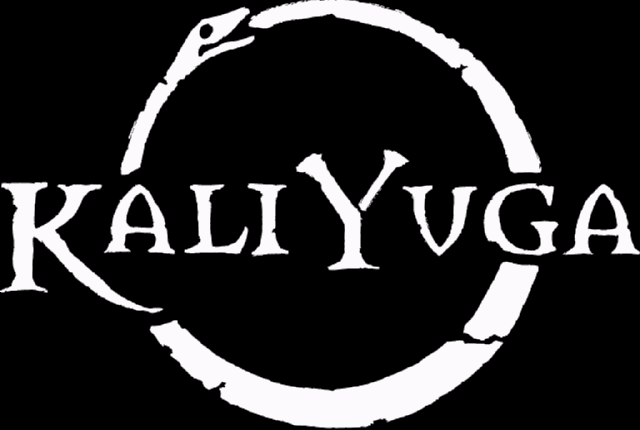 The widely used calendar of India, which measures the passage of time within the Kali Yuga, closely aligns with the Mayan Calendar. The entire Kali Yuga includes both a dawn and twilight period, each being as many as 500 years in length. That means that the present Kali Yuga has already seen well over 5125 years pass; and, that it can literally end today. The Hebrew calendar is another ancient system of timekeeping which aligns with both the Mayan and Hindu. The current Gregorian year of 2015 is actually the year 5775 according to the Hebrew calendar. Within the Judaic tradition there are cycles within cycles which signify different milestones and meaningful events. One of those cycles concerns the Biblical Shemitah Jubilee, which will be observed this September. 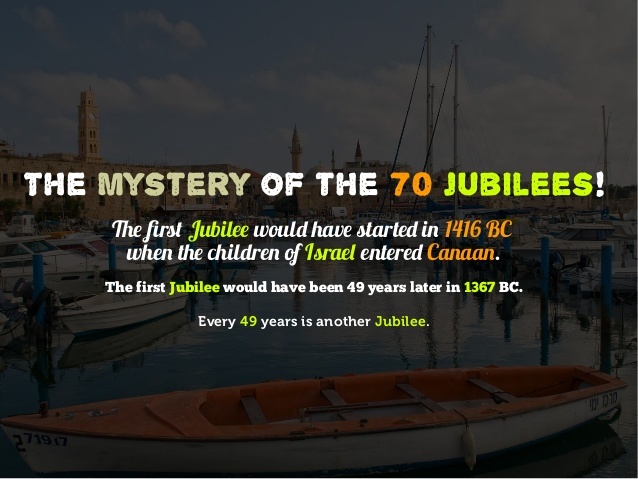 This particular “Year of Jubilee” is the 70th and therefore it is known as the Super Shemitah. The Super Shemitah only occurs once approximately every 3500 years because the 70th Jubilee represents 70 times 49 year Shemitah cycles which equals 3430. The “Year of Jubilee” is always the celebration during the 50th year following 7 consecutive Shemitah cycles (7 x 7 = 49). The Jubilee is also the first year of the subsequent Shemitah cycle, which is why the previous calculation uses 49 instead of 50, the very definition of a Jubilee. The key point is that the end of the current Shemitah year and beginning of the Super Shemitah represent the closing of an era and unprecedented epochal transition. It will seem as though the entire planetary civilization is passing through the eye of the needle. It is no accident of calendrical synchronicity that the Mayan Long Count Calendar was said to have ended on December 21, 2012. Neither is it by chance that the present race of humanity is now living through the final days of the twilight period of the Kali Yuga. The prophecy of the arrival of Maitreya refers to a time in the future when the dharma will have been forgotten* by most on the terrestrial world. This prophecy is found in the canonical literature of all major schools of Buddhism. The whole world is now awaiting with guarded apprehension and anxious anticipation the coming of September 2015. No other window of time — which includes both September and October — has ever been the subject of so many mundane predictions and religious prophecies. There are very good reasons for this particular period being fraught with unprecedented changes and unparalleled events. The historical record of the Shemitah year correlates directly with extraordinary financial breakdown and economic collapse on a global scale. This undeniable and now predictable pattern is what has established September of 2015 as the beginning of the final end of the Global Economic & Financial System. Hence, the upcoming Super Shemitah, also known as the 70th Biblical Shemitah Jubilee, promises to be the most consequential of the modern era. Just how definitive is this Shemitah year correlation with humongous financial and economic events? First, let’s look at the last Shemitah year — 2007/2008. The real estate market crash began in the very beginning of the Shemitah year in September of 2007. That yearlong slow-motion collapse then set up the stock market crash that officially occurred on Black Monday, September 15 of 2008 with the declared bankruptcy of Lehman Brothers, the largest in history. The stock market then proceeded to crash repeatedly until the end of October. There’s a perfect one-to-one correlation for the doubters. Next up, let’s take a close look at the Shemitah year just prior to 2008. That would be 2001. First the dotcom bubble burst at the start of the Shemitah year which began in 2000. That set the year up for all of the major telecom scandals, ENRON bankruptcy and Arthur Anderson collapse. That Shemitah year ended, of course, with 9/11 which also happened to shut down the New York Stock Exchange for a week, the first time in NYSE history. Then, when it reopened, it immediately crashed setting the pace for economic doldrums for the immediate future. The entire airline industry took a major hit, as did New York City and Washington D.C. In both of the previous examples the main events occurred right around the end date of the Shemitah year — Elul 29. This is the temporal fulcrum around which the Shemitah phenomenon transpires. Going back every 7 years there are similar happenings, although not nearly as calamitous as 2001 and 2008. Because those in power have still not responded appropriately to the root causes of the defining issues associated with the last two Shemitah years, the present one will be a true year of reckoning. 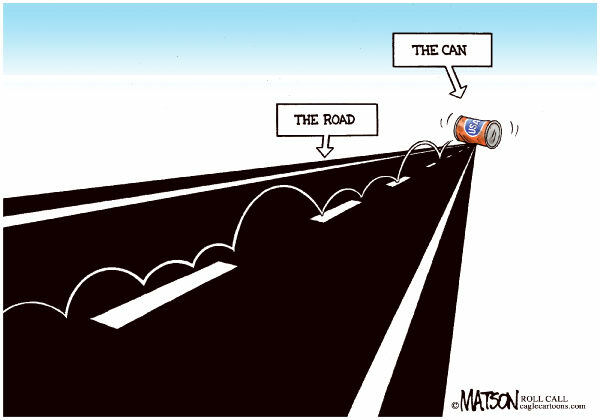 Point of fact: “Kicking the can down the road” will eventually exacerbate all the self-reinforcing problems to the extent that they will really blow up … BIG TIME! That’s exactly where we are right now. There ain’t no more road to kick the can down, and if you don’t believe it, click here. By the way, the U.S. National Debt is now $18, 357, 854, 249, 564.00 and counting … very quickly! More than any other ancient system of timekeeping, the Mayan calendar quite elegantly portrays both the acceleration of time and expansion of consciousness. It especially illustrates the exponential intensification of the outworking of evolutionary energies throughout the entire planetary civilization. As evidence of this calendrical dynamic, witness the many exceptional technological advancements which mankind has achieved over the past 100 years. Then consider how far human civilizations had advanced technologically over the previous 6000 years. 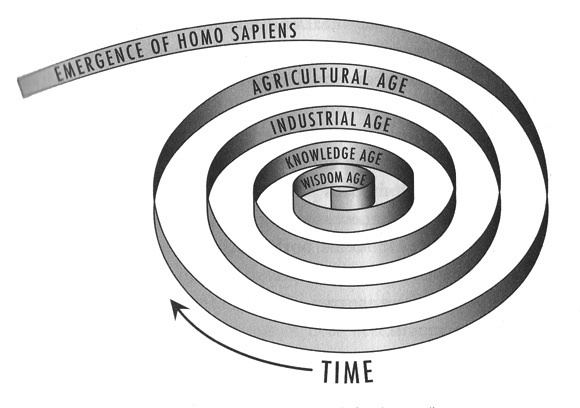 That’s not to say that technological progress is such a great measure of human evolution; rather, that it is just a single metric by which development can be evaluated on the great spiral of time. The real downside of this societal development is that humanity has categorically proven itself incapable of assimilating the many profound and impactive changes in the right way. Hence, the world has been effectively split into two separate populations — the old-fashioned analogs and the revolutionary digitals. This sole development in the way that human beings now approach life has fractured society along many lines. The multiple areas of division are both deep and broad, and growing wider by the day. The critical point is that the evolutionary spiral has now tightened to the point where the existing societal structures and institutional arrangements are reaching their breaking points. In other words the systems are no longer working and have simply outlived their usefulness. The Global Economic & Financial System is a perfect example of this slow-motion breakdown and inevitable disintegration. The financial architecture, which was constructed early in the last century, is wholly inadequate because it has not been sufficiently upgraded since the beginning of the 3rd millennium. Likewise, the economic systems are sitting on the same fundamentally flawed foundations that were laid during the same era. With the predominance of corrupt, crony, corporate capitalism worldwide, the process of disintegration is speeding up by the day. The systemic stresses are now unbearable as new institutional pressures pile on by the day. The whole world is now watching the final stages of the “snake of predatory capitalism eating itself“. This is why the phenomenon of the Super Shemitah is so powerful and so relevant. The typical manifestations of Shemitah energies perfectly reflect the earth-shaking events which are now taking place every day. However, those same energies are greatly increased during a “Year of Jubilee”, especially when it is the Super Shemitah. Corporate fascism throughout the USA has in fact greatly manifested under both the Obama and Bush Administrations. Both presidents were used to advance a clandestine corporate agenda whereby profits are privatized and losses are socialized. This ongoing “transfer of wealth” dynamic is responsible for the class war that has been simmering below the surface of American life since the Occupy Movement first emerged. The battleground has now been set up. There has always been a fierce battle between “the Takers and the Caretakers” of the planet. That same war has been significantly expanded to include the haves and the have nots. The vast majority of humankind has been inexorably moved into the “have not” category due to a fastidiously planned scheme to redistribute the wealth of the world. The final stage of that multi-century strategy will be taking place during the Super Shemitah year. 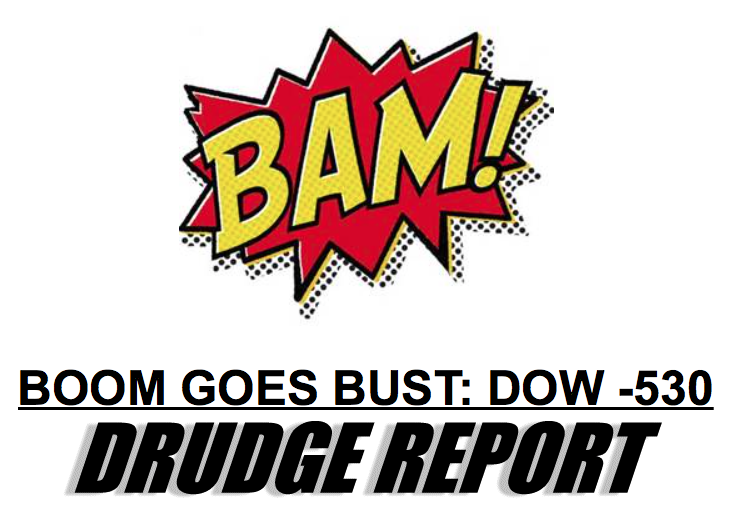 As evidence, we post a screenshot from today’s Drudge Report indicating the Dow Jones decrease of 530 points. That drop represents the single biggest one-day selloff since 2008. Here’s an LA Times article: Stock market suffers worst one-day drop since 2008 that is one of the few MSM reports. And this is only the very beginning of the end of a longstanding war. East and West are now engaged in an epoch-ending resource war and geopolitical conflict, currency war and commodity conflict that will surely shake the world to its foundations. For those who are uninitiated in these highly consequential matters, this unfolding War of the Titans is the only way the system will be sufficiently destroyed so that a new paradigm can emerge. How the current GE&FS actually self-destructs has already been planned out. The same plan has been utilized over centuries of engineered booms and busts, each one coordinated and executed by the same ruling cabal. The following essay well explains the historical background and current context. Why will the coming Super Shemitah unfold with so much finality? It is what has occurred contrary to the biblical injunctions of the Shemitah over the past 50 years, as well as what has not occurred, that will determine the severity of the Super Shemitah. In other words, because periodic debt forgiveness for the most financially oppressed has not occurred, the spirit of the Shemitah has been violated time and again. In fact the taxpayers’ money was instead given to the Too Big To Fail banks. This injustice represents a profound transgression against those who are in the greatest need. One need look no further than the economically devastated country of Greece. That bankrupt nation is now being further destroyed financially by the European Union led by the German banking establishment. The EU, IMF and ECB have all conspired to strip the Greek people of all their national treasures and public assets. Much more importantly, these soulless supranational institutions are stealing Greece’s national sovereignty, as they deprive the citizens of their personal sovereignty. This same highly destructive dynamic is playing itself out in the Ukraine, as well as in many other countries throughout the Middle East and Africa. It is the disease of predatory capitalism and it has become a cancer upon the nations and blight upon their lands. Hence, the spirit of the Shemitah has not been observed or respected. In fact it has been profoundly disrespected. Consequently, the upcoming Super Shemitah year is guaranteed to be both paradigm-busting in many spheres of life, as well as earth-shattering in others. Because the 7-year Shemitah cycle always ends with a major drama(s) of some sort, from this point forward, anything goes anytime. We have already seen the Rod of God weaponry inhumanly used on the port city of Tianjin as a result of China’s purposeful and rapid currency devaluation. Likewise, there have been unceasing acts of economic terrorism and financial sabotage perpetrated against nations large and small. The Anglo-American Axis is doing everything possible to maintain their ascendant position on the global geopolitical battlefield. 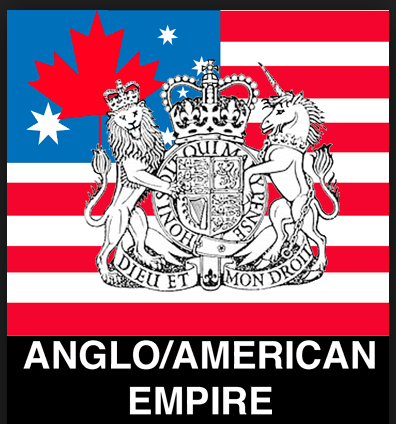 *The Anglo-American Axis is represented, first and foremost, by the major English-speaking countries of the world: USA, UK, Canada, Australia, New Zealand and Israel. The European member nations of NATO, such as Germany, France, Italy, Spain, Portugal, Belgium, Luxembourg and the Netherlands are also closely aligned with the AAA as are all the Scandinavian countries. So are the Asian Pacific Rim nations of Japan, South Korea, Taiwan and the Philippines. Pakistan, Kuwait, Jordan, Bahrain, United Arab Emirates, and Qatar also owe their allegiance to the AAA, although some of these may be changing. The World Shadow Government is a secret, supranational organization which completely controls the Anglo-American Axis, as well as the European Union, NATO, among many other institutional entities which constitute the Global Control Matrix. It’s true that the unfoldment of the Kali Yuga denouement will dictate the actual timing of the upcoming Super Shemitah events. The Kali Yuga, also known as the Iron Age, is the darkest and densest of the four major ages which also include the Golden, Silver and Bronze Ages. The Kali Yuga is also known as the Age of Quarrel and Age of Conflict; hence, much of human history over the past 5000 plus years has been about wars between empires, kingdoms, nations, and states. Even cities and villages, tribes and clans have had their skirmishes. As the population explosion took place, regional wars and world wars became a fact of life. Once the USA became the military arm of the New World Order during the last century, highly advanced weaponry and destructive technology have been utilized within theaters of war around the globe with devastating effect. The sanctity of life is now systematically trampled. And people everywhere have been relentlessly desensitized to the ongoing horrors of war. Welcome to the age of war-watching on TV screens and computer monitors, smartphones and laptops. The Kali Yuga is particularly distinguished as an era when “dharma will have been forgotten“*. Dharma is a Sanskrit word meaning righteousness, justice and truth. In the Eastern traditions the Kali Yuga is known as a time when the fourth leg of the sacred bull is broken. The 4th leg represents truth which, when broken, signifies that falsehood will prevail across the land. Truth during modern times is so completely shredded that the truth-doers are routinely killed, imprisoned and committed. Likewise, the truth-writers are demonized and ridiculed as the truth-speakers are marginalized and ostracized. Conversely, those who speak falsehood do so with such conviction that they hold the masses in thrall. Convincing liars now exercise great power over government and corporations alike. The multi-decade Confidence Game that Wall Street has played on the rest of the nation, as well as the world-at-large, is a perfect example of the power of deception during the unsurpassed Kali Yuga. Truly, we live in an age when the vast majority of people are literally addicted to deception. This addiction to deception has been purposefully exploited by those at the peak of the GE&FS pyramid of power. They know exactly how to manipulate the market gamblers into betting the whole enchilada on highly speculative and fraudulent ‘investment’ vehicles. They have engineered every single market rise and fall since the inception of the NYSE, as they are manufacturing the current plunge in global markets today, especially in China the current financial trigger point. After fabricating the greatest and longest sucker’s rally in history, they will now bring the whole house (read: gambling casino) down. This is how the snake of predatory capitalism always self-destructs. Having created the Consumer Society that is now hellbent on consuming everything in sight, it has passed through a critical threshold in 2015. Everyone — virtually — wants a much bigger piece of the pie. The internet has given them extraordinary tools to grab it. In this computerized era of trading there are various techniques and tools of an emerging trade which have empowered the previously powerless to flex their muscles via flash trading, frequency trading, naked short selling, derivative market abuse and a whole host of other market tactics and strategies. This particular predicament, along with many other dubious practices being employed daily throughout the GE&FS, has made it extremely tedious to efficiently manage all the new market chaos and unpredictability. Hence, the power-players at the very top are getting out and shutting the global betting parlor down. In their race to the bottom, they are stealing everything in sight — pensions and 401(k)s, IRAs and Keoghs, stocks and bonds, gold and silver deposits, insurance and annuity policies, trusts and estates, savings and checking accounts, etc. However, it is the multi-year theft of tax revenue via successive implementations of the Quantitative Easing ‘monetary policy’ that allowed then to fill their coffers with LOTs of ill-gotten gain. Nonetheless, as the preceding pic graphically illustrates, the incorrigible thieves at the very top will eventually turn on each other. When that process begins in earnest, the snake shown above will literally be eating its own head. Yes, that is precisely how corrupted predatory capitalism always terminates itself. The world will now watch the unparalleled self-destruction of the “Modern Temple of the Moneychangers” … in living color … and in broad daylight. After all, the Goddess Kali will not be denied her sacrificial offerings. But who is it, exactly, that is serving up the heads of so many of the rich and powerful on the golden platter?! The critical understanding to have about the Kali Yuga is that, like the end of the Mayan Calendar, there is a dramatic intensification of these dark energies, low vibrations and negative frequencies. The societal downward trajectory perfectly parallels the outworking of the Shemitah finale. In other words, just as it is always the darkest before the dawn, the exceedingly powerful forces of the Super Shemitah guarantees that the GE&FS will be dealt with accordingly. The essay that follows provides graphic detail of how the end game will play out. Let’s start with the fact that Saturn has been crashing through Scorpio during much of this pre-revolutionary period. In fact Saturn is getting ready to leave Scorpio for good in the middle of September. What is noteworthy here is that the real fireworks often occur at the very end of this usually quite difficult and challenging transit. Hence, all of Western civilization can expect truly cataclysmic events to occur from now (August 21th) until the end of October. There are also the September eclipses to contend with. Talk about throwing fuel on the fire or, more appropriately, conflagration. 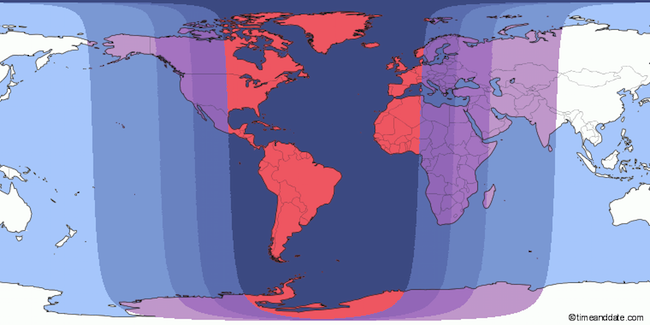 September will not only see a solar eclipse on the very last day of the Shemitah year — Elul 29 — this coming September 13th, it will also see a full lunar eclipse on September 28th. That particular eclipse completes a rare tetrad of 4 consecutive full lunar eclipses which have been occurring since the Spring of 2014. The financial and economic, military and geopolitical power centers of the world (located on the U.S. Eastern seaboard & Western Europe) will be blackened out by that eclipse as shown below. This piece of the End Times puzzle is of paramount importance. Again, because of the center stage that the USA currently occupies in world affairs, its evolving and predominant astrological dynamics weigh heavily on nations large and small. Chinese astrology tells us that the USA was born in the Year of the Fire Monkey on July 4, 1776. This birth date also indicates that Pluto was transiting through Capricorn during the revolutionary period of the 1770s. Everyone knows the rest of the story about the unprecedented American Revolution. The coincidence of these two mutually reinforcing astrological events only occurs once every 245 years. The obvious deduction is that the United States of America is getting ready to experience the 2nd American Revolution. Only this time the people are revolting against an extremely oppressive U.S. Federal Government. Governmental and political, economic and financial tyranny have been manifesting on a daily basis. The citizenry has never been so justifiably rebellious in almost 250 years. Lastly, it should be noted that something quite awesome took place in the heavenly firmament this past July. The results of that celestial tête-à-tête will be felt throughout the entire Super Shemitah and beyond. The following essay well describes the sheer enormity and profundity of that rare and highly consequential event. The Super Shemitah has such a high degree of both kinetic energy and latent power that it will be easily distinguished from all of those other Jubilees that have come before. The current events that are evolving and devolving across the planetary landscape are now many and varied. They are occurring at warp speed and, at times, seemingly within a time warp. This radical acceleration of time and the Shemitah’s multifarious mundane manifestations are a direct reflection of the final stage of the Mayan Long Count Calendar also known as the Universal Creation Cycle. Nevertheless, it is important to understand that the future is never really carved in stone, as many would like to think. More importantly, this particular Shemitah is the very first one which was known in advance by the greatest number of people worldwide. This sole development was made possible only by the now ubiquitous internet. The efficient dissemination of this vital information has enlightened millions across the planet about the historic ending of the current Shemitah year on September 13th. It is always on that final day when the debts are released and community-wide indebtedness was forgiven … … … one way or another. That so many know about the coming grand finale has provided an unparalleled opportunity to shape the manifold outcomes. Therefore, we now have before us a Shemitah year, the ending of which can be altered like no other in recorded history. Similarly, as the planetary civilization faces an unprecedented Super Shemitah, that, too, can be responded to in a manner that will greatly mitigate the most severe consequences and difficult challenges. 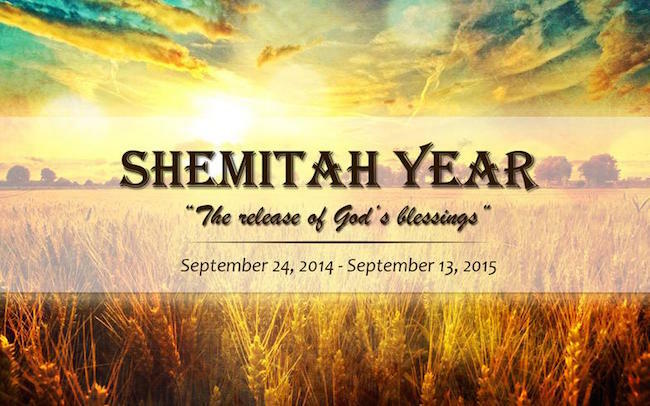 Above all, it’s crucial to understand that the Shemitah year is one that is known for “the release of God’s Blessings”. Whether those blessings seem positive or negative, they remain untainted forms of divine grace. Even the darkest of clouds can have a silver lining. This is perhaps the very best way to understand, and EXPERIENCE, the Super Shemitah. So, while the planetary civilization will likely experience a modern-day version of Noah’s Flood, when the sun does finally come out, things will be fundamentally different. And that is a good thing … a very good thing! September of 2015 will surely set the stage for The Greatest Show On Earth — EVER! The main take-away for all concerned is that it behooves everyone to simply watch the Super Shemitah as a show. By orienting ourselves as detached witnesses, we are better able to respond in the moment to whatever requires our attention. Because the evolutionary spiral of this final Universal Creation Cycle of the Mayan Calendar is inexorably tightening toward a type of zero point, time will speed up and events will intensify. In light of these daunting eventualities, it is necessary for each individual to actively cultivate peace of mind. Only by methodically creating the right frame of mind will each person be able to play their proper roles during this final act of the Kali Yuga. We can only sustain peak performance throughout the Super Shemitah by functioning with yogic dispassion and detachment. None of us knows exactly how or when all of this is going to end; we just know that the current (dis)order can only go on so much longer, yes? The Shemitah essays and articles listed below under the heading “Recommended Reading” are some of the best on the internet. For those who wish to learn more about the upcoming Super Shemitah, this is a good place to start. 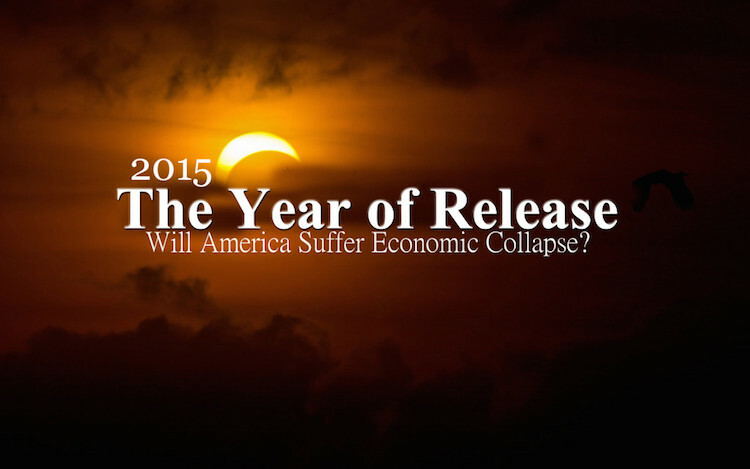 The Crash of 2015: Now Arriving at Gates 3,7,12,19…. 9.12 — Madonna starts U.S. leg of Rebel Heart Tour in Washington D.C.